the country as it has a wide span of cultural and natural diversity. 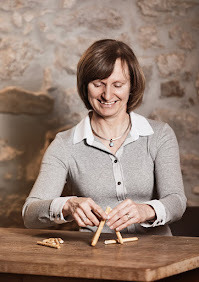 I put together the trip myself and asked our Swiss travel agency to arrange a private tour by car. As always I put emphasis on the fact that we stay in good hotels and eat in fine restaurants. My next post will be about lodging and dining in Ecuador’s highlands. The Swiss travel agency, Travel Worldwide in Zurich (highly recommended) arranged this journey through the Ecuadorian agency Contactours in Quito that hired a local freelancing driver guide for our trip. We were very lucky to have a competent, reliable and kind person at our disposal, Paul Urigüen from Quito, who did an excellent job in bringing his home country closer to us. 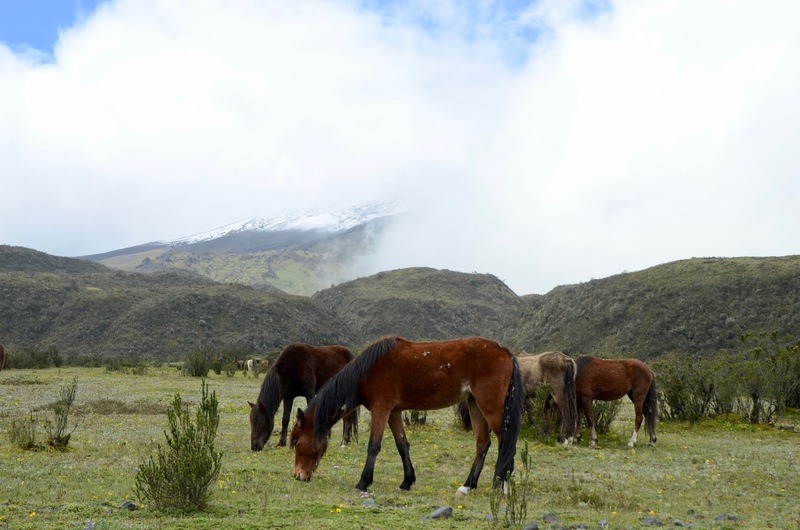 The Ecuadorian highlands are also known as La Sierra or the Andean region. They are located between the coastal region in the west (La Costa) and the Amazon on the east (El Oriente) and are home to some of the most stunning vistas in South America. Natural sights are snow-capped mountains, active volcanoes, fertile valleys, waterfalls and grassy highlands. You have to know that Ecuador is among the countries of highest flora and fauna diversity. Cultural features include colorful Indian markets, historic haciendas and well-preserved Spanish colonial cities such as Quito and Cuenca. You have to be aware of the fact that if you want to travel the area, you do this at a high elevation. 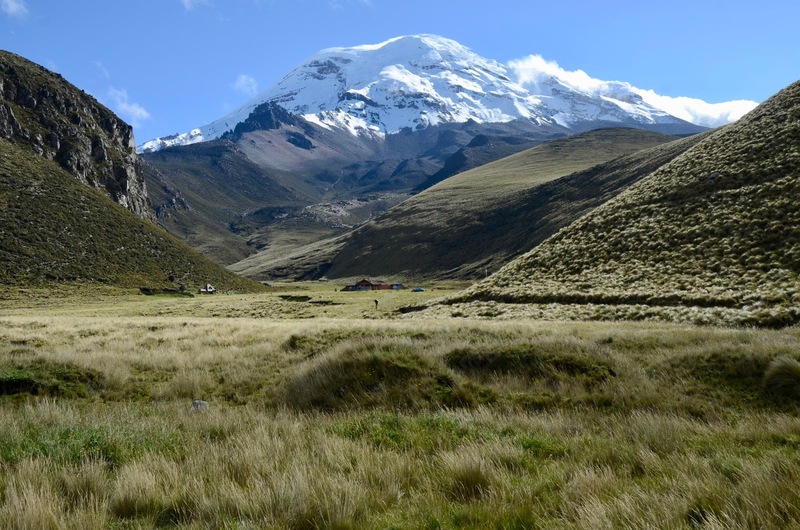 Quito, for example, has an elevation of 2,850 metres (about 10,000 ft) above sea level and the highest point we reached was at 5,000 metres (about 16,400 ft)., and this is the Edward Whymper Refuge (Chimborazo Nature Reserve). In the highland one travels north to south. I do not know the reason for this but every trip I looked at proceeds like that, maybe because most people fly into Quito, I do not know. Some start in Quito and then go southwards, other make a detour to Otavalo as we did or start even more in the north. Then you travel south along the Pan American Highway to explore the so-called Avenue of the Volcanoes. On either side you find massive, stand-alone volcanoes providing an amazing contrast to the lush greenery of the rest of the landscape. Wherever you are, you are never far away from a volcano. 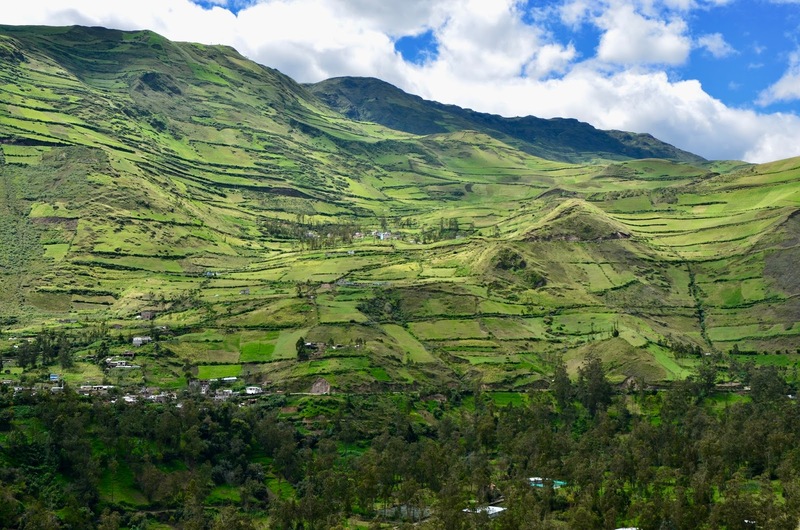 When leaving Quito, you pass Cotopaxi National Park, the quirky town of Banos (gateway to the Amazon Basin) and Chimborazo Nature Reserve to finally arrive in Cuenca, the last stop of the highlands. Afterwards, you travel further to Guayaquil. After landing in Quito late in the afternoon, there is usually no time for sightseeing on the first day, but hopefully you arrive at the hotel just in time to have dinner. Our hotel at the foot of Cayambe Volcano is situated about two hours north of Quito and about one hour east of Otavalo. There may be adequate lodging closer to the main attractions in the area, but the hotel we chose was worth the detour. More to this can be found in my next post. 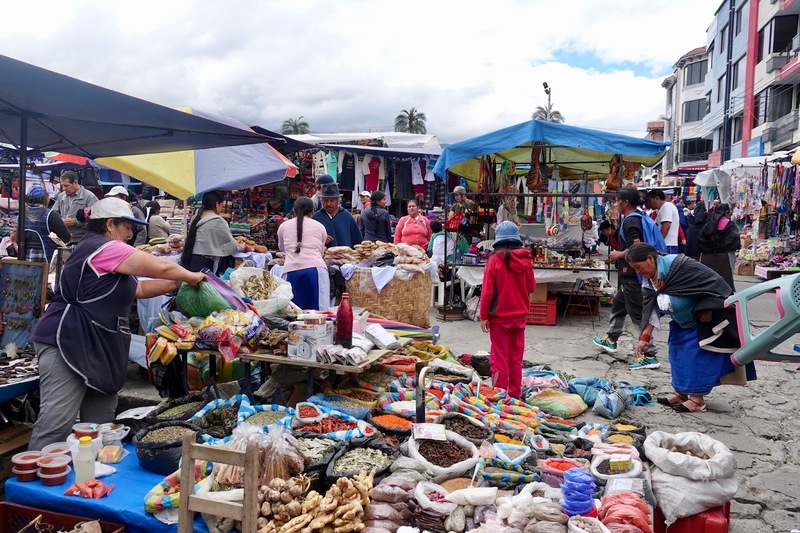 Otavalo is well known for its indigenous market, where handmade traditional crafts, but also mass-produced goods are on offer. 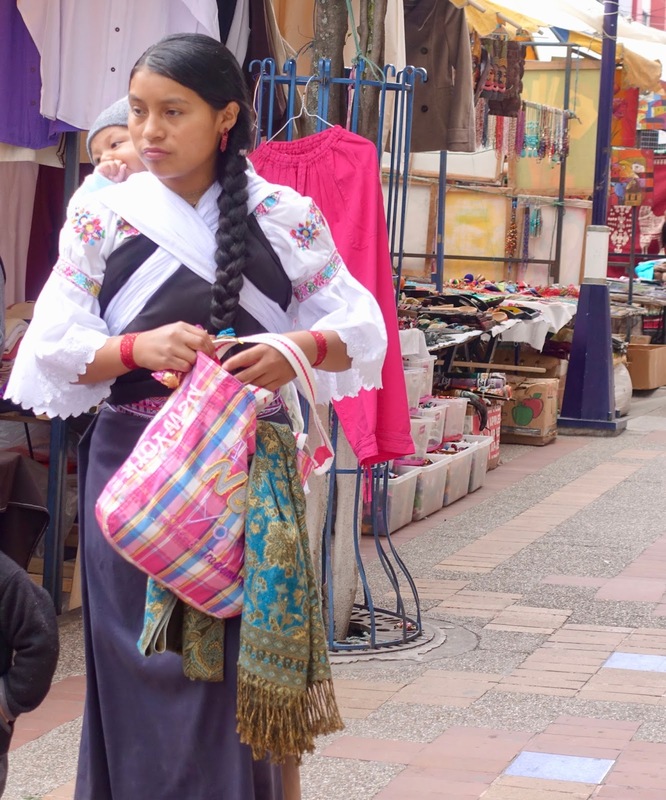 The town has been hosting one of the most important markets in the Andes for hundreds of years and it is certainly worth visiting, especially on Saturday, the main market day. The indigenous people, the Otavalenos, still wear traditional clothing – woman with embroidered white blouses and long dark skirts, men with dark blue ponchos and calf-length white trousers. After visiting the market, there is enough time for another activity. 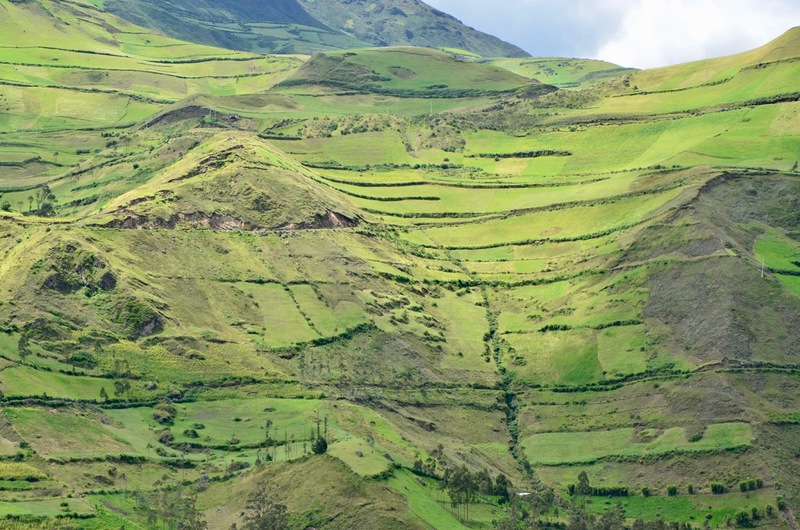 A trip to Cuicocha in combination with a short hiking tour is ideal for this purpose. This is a caldera and crater lake at the foot of Cotocachi Volcano. There is a trail along the edge of the crater rim. It is possible to hike all the way around the lake, but plan a full day for this. To get an impression it is sufficient to do a short hike from the visitor center and back. The trail is well maintained and gives you the opportunity to enjoy the special flora and fauna of the area. 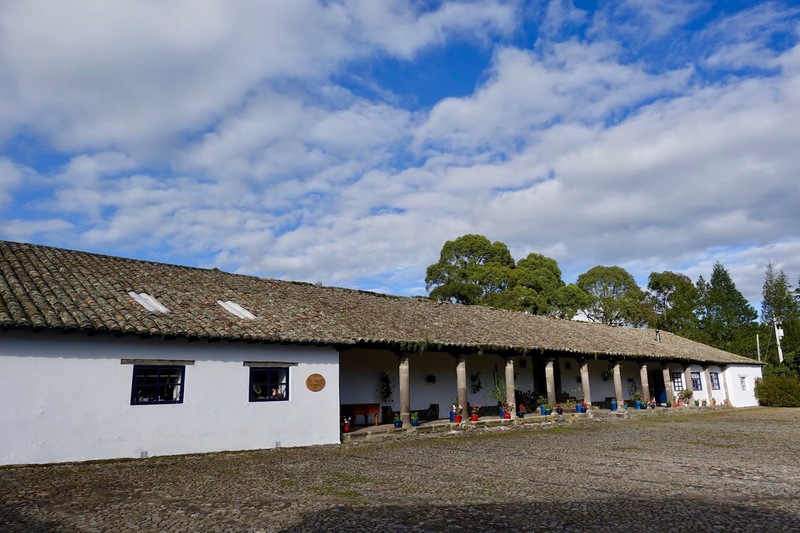 On the way from Otavalo to Quito make a stop in the town of Cayambe at the rose plantation La Compania de Jesus/Rosadex (on appointment only). There is a beautiful estate house with an adjacent chapel where you can visit the gardens, the splendid building’s interior with ancient European furniture, the showroom with many rose varieties and also the nearby rose production. Quito, the capital city of Ecuador at an elevation of 2,850 meters (about 10,000 ft) has an unbelievably beautiful historic inner city. It is the second most populous city (2.7 million) after Guayaquil and the first one that was declared a Cultural Heritage Site by UNESCO. Quito is said to have the largest, least-altered and best-preserved historic center in the Americas. Plan at least two days to explore the Spanish colonial heart of Quito. Conquistadors made it their artistic masterpiece in the New World with palaces, monasteries, cathedrals and plazas. Before you visit all these treasures, go (by taxi) to the El Panecillo, a large hill on top of the old town, to get an overview over the city and its enormous dimensions. Now it is time to discover the Avenue of the Volcanoes in more detail. En route to Cotopaxi Volcano and National Park, a stop at the Pasochoa Forest Reserve is a fine thing to do. 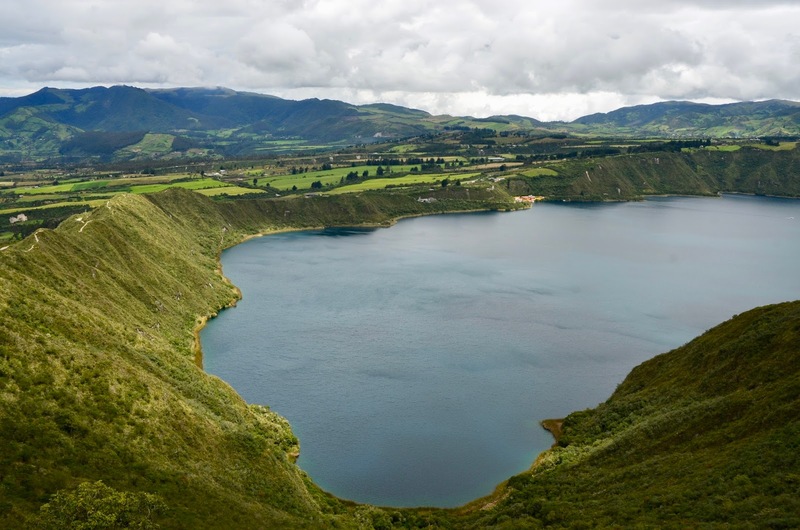 Pasochoa is an extinct volcano where you can experience one of the last remaining places in Ecuador where primary inter-Andean forest can be found. Some rough driving is necessary to get there, but it a hiker’s dream with several trails to do. Alternatively or if you have some time left, Termas de Papallacta, probably the most beautiful and most comfortable thermal bath of Ecuador, is an activity worthwhile doing. The active, snow-capped Cotopaxi Volcano is a picture-book volcano because of its almost symmetrical cone. 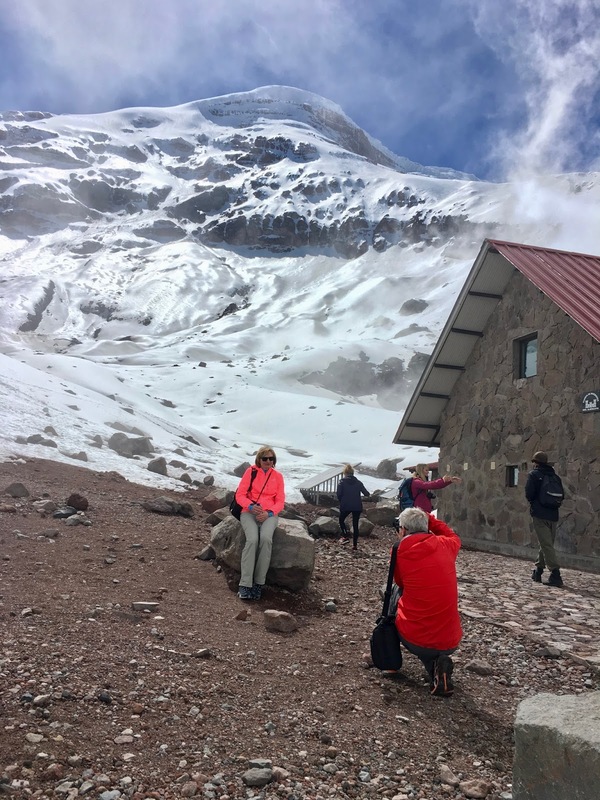 In the Cotopaxi National Park visit the small museum and the visitor center to get an introduction into the flora and fauna of the area, then make a hike to the Jose Rivas Refuge at 4,800 meters, if you feel ready to do so (200 meters below the Cotopaxi glacier). Banos at the foot of Tungurahua Volcano is a town which is considered as the gateway to the Amazon. It is quite a touristy place, there are many backpackers around as it is known as Ecuador’s adventure capital. 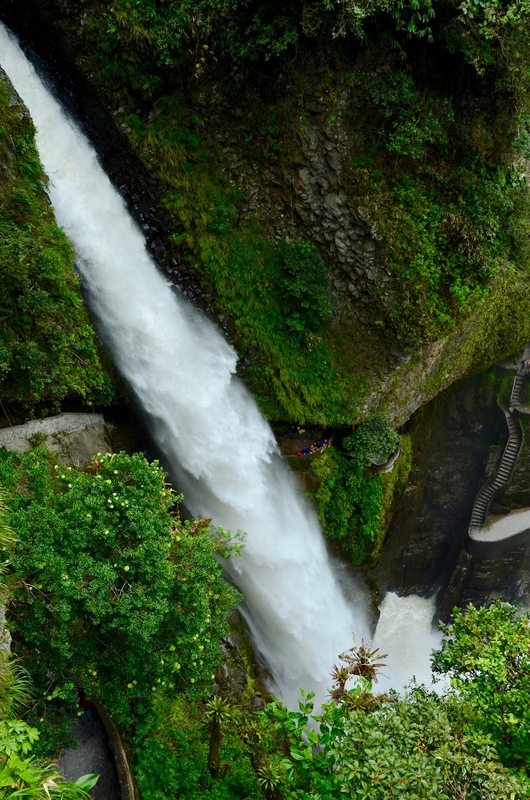 It is recommended visiting due to the Pailon del Diablo, an impressive waterfall. 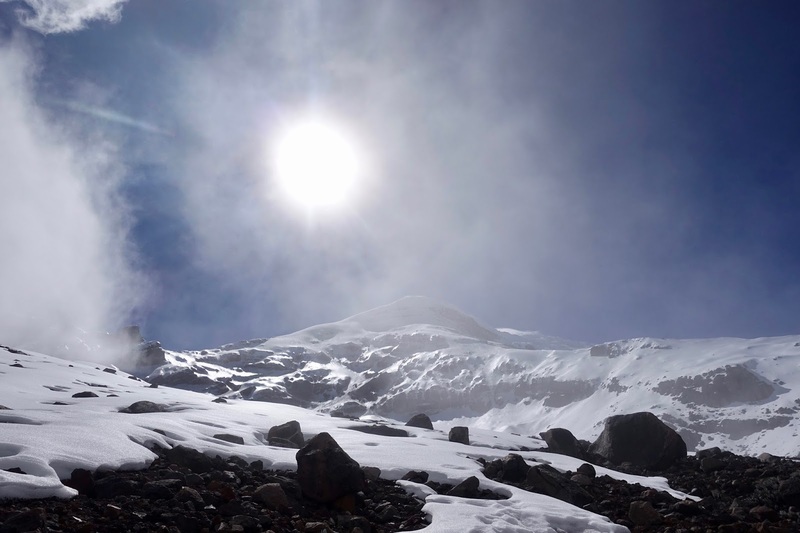 Now it is your turn to tackle Ecuador’s highest mountain, the dormant Chimborazo Volcano with an elevation of 6,267 meters (20,561 ft), which upper elevations are covered with glaciers. It is possible to drive up to a parking lot at 4,800 meters and then walk up to the Edward Whymper Refuge at 5,000 meters, which only takes about 30 minutes but it is a strenuous thing to do because of the altitude. After returning to Riobamba and continuing further towards south you can enjoy a very scenic drive. Wherever you look, you can admire patchwork fields of crops that create fascinating patterns on the hillsides! 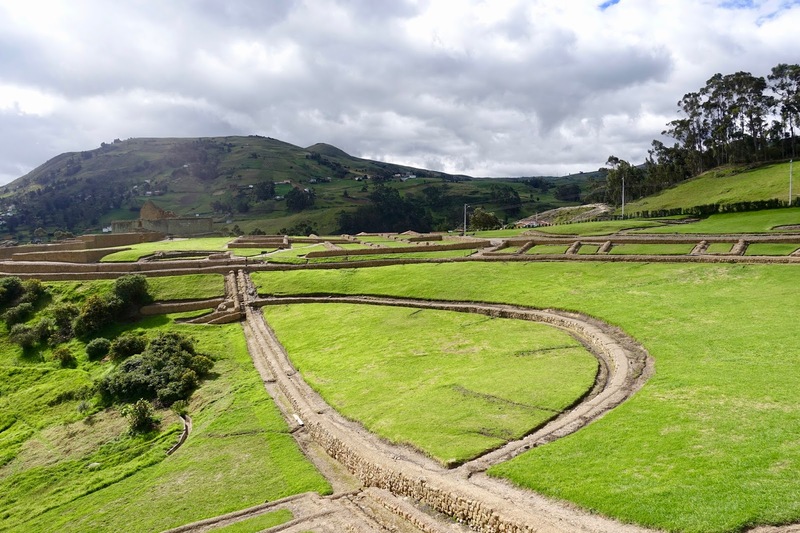 A last stop before coming to the city of Cuenca is scheduled at Ingapirca, an archaeological site. Here you can explore the remains of the most northerly fortress of the Incas. Cuenca is much smaller than Quito with only about 400,000 inhabitants, but it has also a lot of Spanish colonial architecture to offer. It is a charming and lively place. 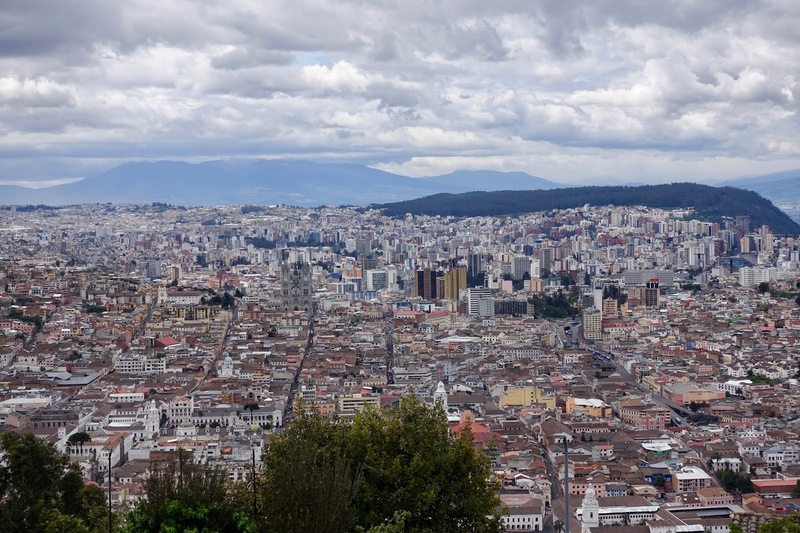 Some even regards this city as Ecuador’s most European one. 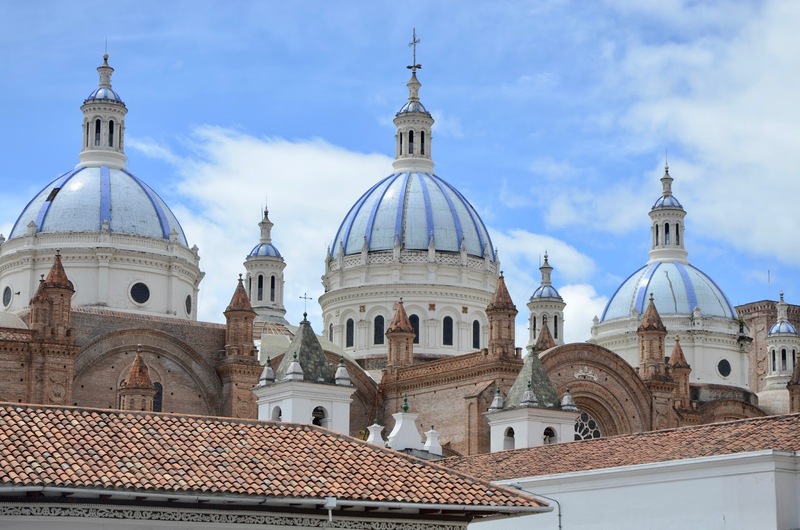 Just as it is the case in Quito, Cuenca’s center is listed as a UNESCO World Heritage Trust Site as it is also rich in history and architecture. Compared to the capital, Cuenca is more laid back, but in my opinion more heavily trafficked due to fewer pedestrian areas in the inner city. As to activities, make a city tour by foot to see all the highlights of the old town and visit a factory where Panama Hats (they stem from here, not from Panama) are made. Half a day is usually enough for exploring the city. 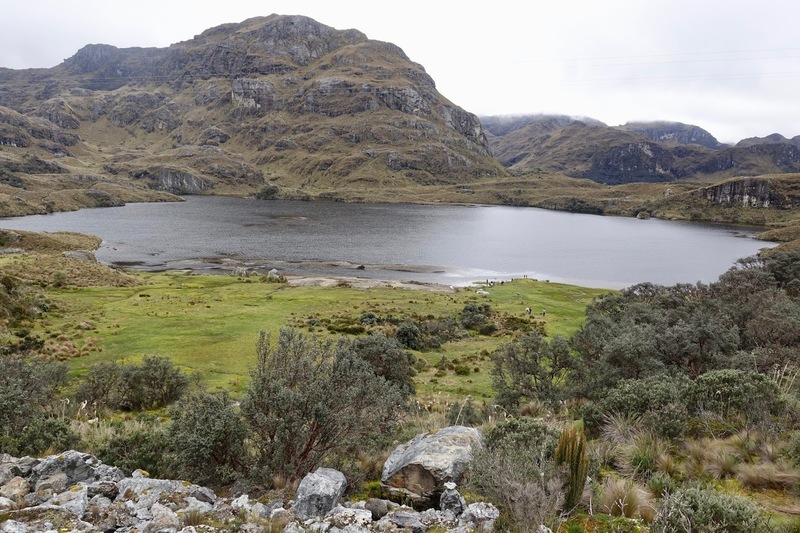 Use the other half day (preferably in the morning) to pay a visit to the nearby Cajas National Park. This is one of the most beautiful nature places of the country with more than 200 glacial lakes and many possibilities for hiking. After having left behind la Sierra, you have now reached la Costa. 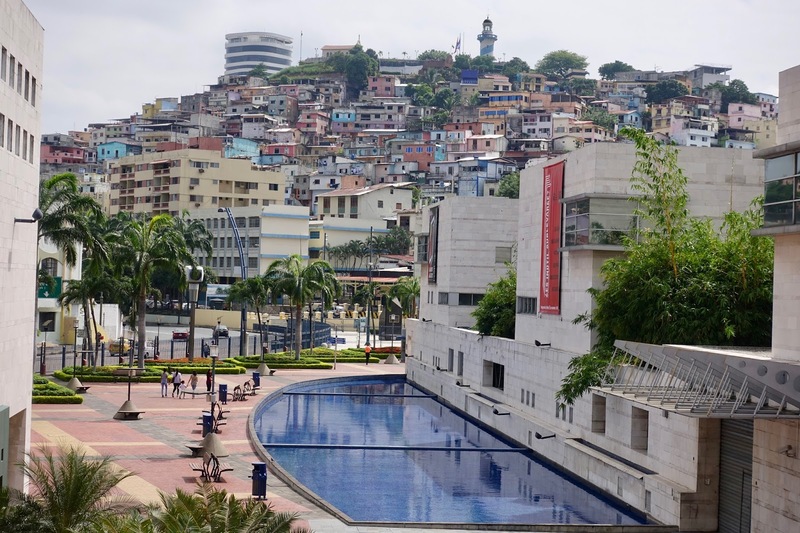 Guayaquil is the largest city in Ecuador with around 3.5 million inhabitants. It is situated on the banks of the Guayas River, which flows in the Pacific Ocean, and it has the nation’s most important port. Although it is the commercial heart of Ecuador and does not have an old town in the proper sense (large parts of the city were destroyed by a major fire in 1896), it has some attractions to offer. Above all it has a great waterfront called Malecon which is gated, monitored by the police and stretches over 2.5 km with gardens, open-air restaurants, playgrounds etc. 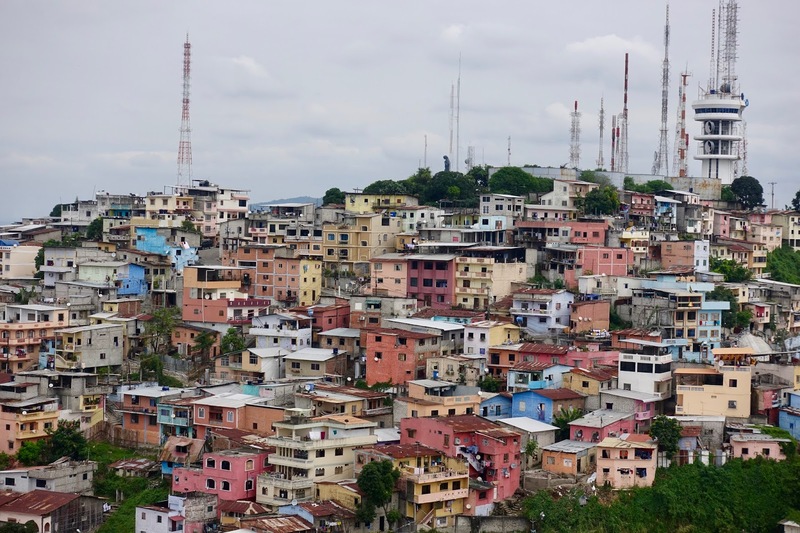 Then there are the picturesque neighborhoods of Las Penas and of Santa Ana with its colorful houses, which are both worthwhile going to (climb up 444 steps to the lighthouse). While our main reason to come to Ecuador was cruising the Galapagos Island, we also put emphasis on seeing the highlands. And it was worthwhile coming there! We were amazed by the abundance of the natural wonders as well as the man-made attractions. No trip to Ecuador is complete without seeing la Sierra! There will be more posts about our trip to Ecuador’s highlands (where to stay on a luxury stay and where to eat as a foodie) as well as to the Galapagos Islands (western itinerary and one day as Silver Galapagos passenger). Come back to check them out, the next one will be about the hotels we stayed at while traveling the highlands of Ecuador.